Just few days back, we had Bitdefender antivirus promo by V3 software. Once again they are providing another great app called Avanquest Fix-It Utilities 10 Essentials for free for next 48 hours. It is a tuneup kind of application which helps you automatically Fix, Speed Up and Protect Your PC. 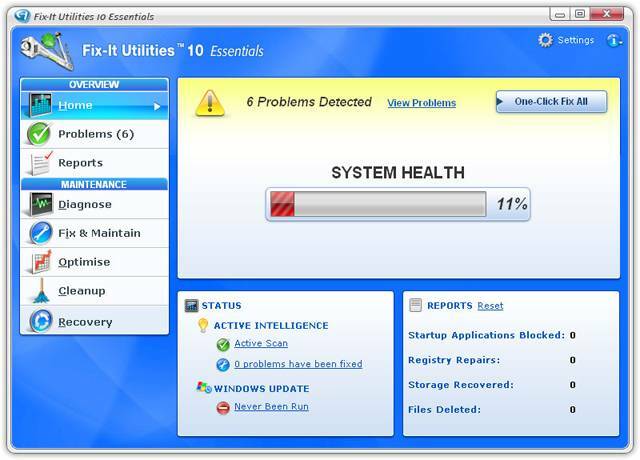 Fix Windows ProblemsÂ : Powerful diagnostic tools find and repair Windows problems automatically. PC Health Status : System Status Meters give you an instant overview of your PCâ€™s health and security. Speed Up Windows: Regain wasted disk space, repair hard drive problems and speed up Windows startup. PC Diagnostics: Diagnose, check and report on system hardware such as memory, hard drives, network cards and more. WindowsÂ® Registry Repair : Defragment, fix, edit, clean and optimise your Windows Registry. Windows Rescue CD : Built-in Windows Rescue CD fixes and repairs your computer when Windows wonâ€™t start. Active Intelligence silently monitors and repairs your computer â€“ automatically! Internet Speed Optimiser accelerates browser, download and web surfing speeds. File Shredder securely erases data – protecting you from identity theft. Recover Lost Data recovers deleted files, photos, music, email and more. 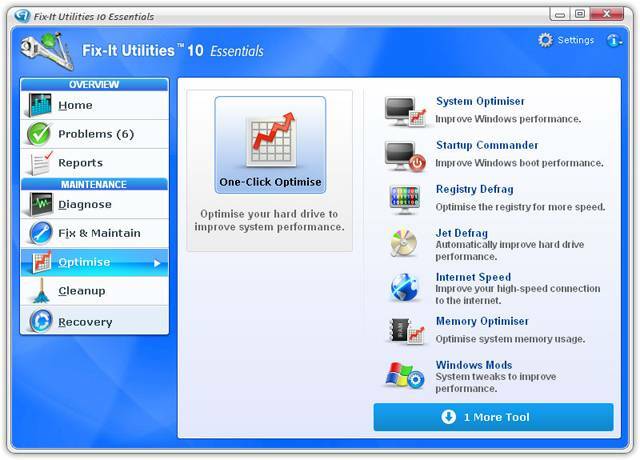 The promo is live now and you can grab Fix-It Utilities 10 EssentialsÂ on home page of store.v3.co.uk . To be more specific, here is the exact promo page. 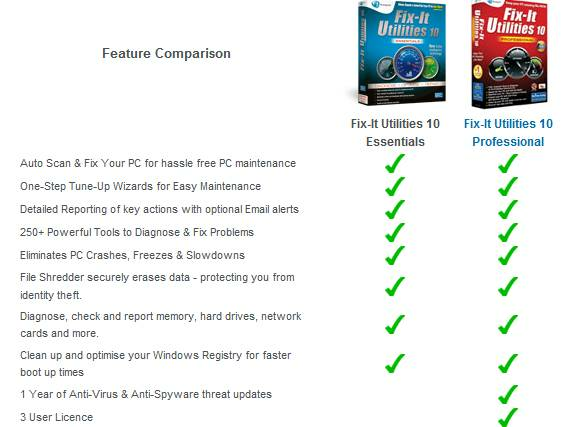 Here’s a small comparision of Fix-It Utilities 10 Essentials features and its professional version. Even though, a direct link to the promo page from where you can get the key is available, I am just avoiding it here as you should go to the original promo page and get the key there. You need to have a V3 store account to grab they jey. If you dont have a ccount, you can create it for free. After you login, the license key is displayed on the next page. So grab it before it expires. Great! The registry cleaner software is able to clean your computer and clear the registry for a much safer computer.